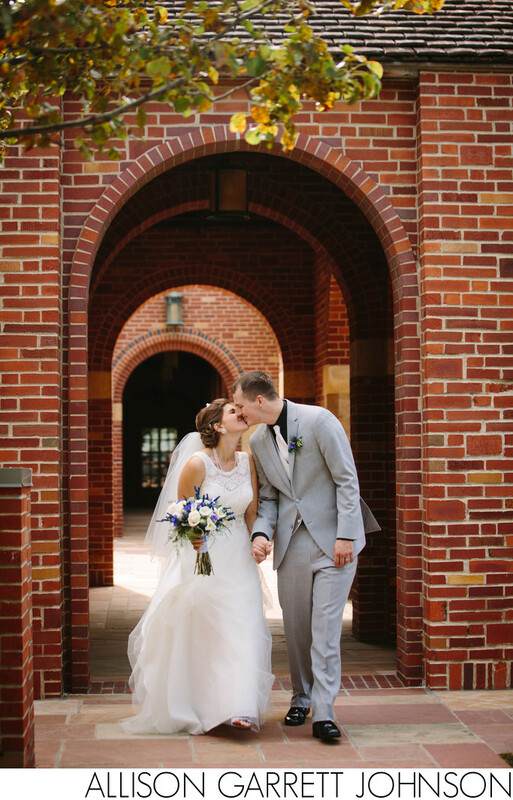 Madeline and Clinton did not do a first look as many as my couples do, and that is perfectly fine. We had plenty of time to do portraits after the ceremony at their church, First Plymouth. I think it's important that as a couple you decide what is right for you, and your traditions. First looks can be convenient and make it easier to get to the reception quickly, but if it is important to not see each other until the bride walks down the aisle, then we can make that work too! After the ceremony we quickly finished all of their formal photos with their family and friends as well as portraits with the two of them, before heading downtown to their reception at the Holiday Inn (now the Graduate). It was a perfect day that fit exactly what they had in mind for their wedding day. Location: First Plymouth Congregational Church, 2000 D Street, Lincoln, NE .